DampRid attracts and traps excess moisture to rid your home of stagnant air and musty smells. The unique, patented design of DampRid Fresh Scent Hanging Moisture Absorbers is the ideal way to protect fabrics and other materials in enclosed spaces. 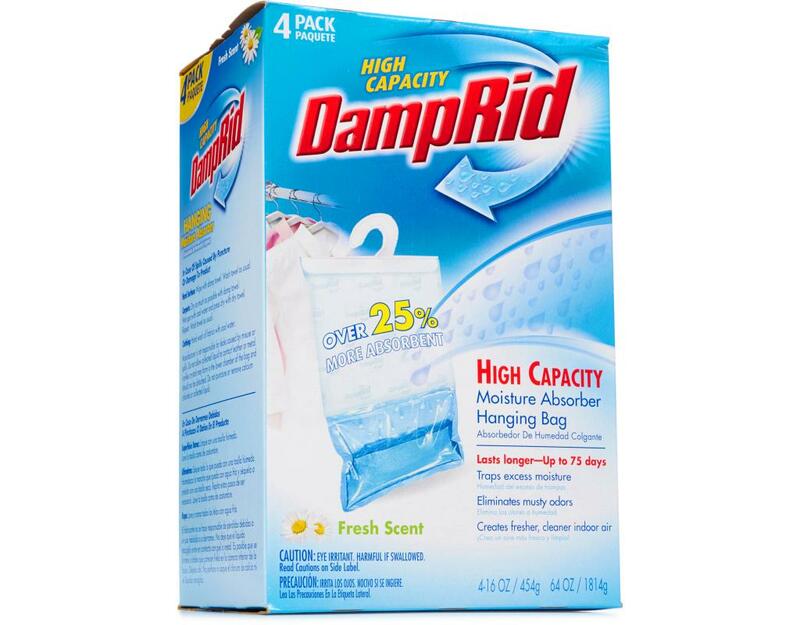 In closets, DampRid protects clothing from damage and prevents musty odors caused by excess moisture, leaving a fresh, pleasant scent. 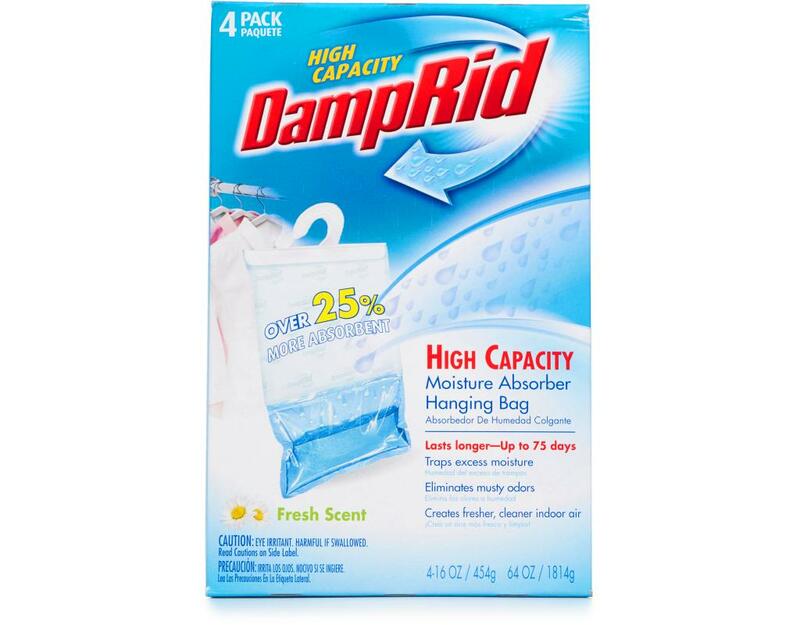 DampRid Fresh Scent Hanging Moisture Absorbers offer advanced moisture control for: clothes closets, bathrooms, laundry rooms, storage closets, basements, garages, gym lockers, boats — or wherever you need advanced moisture control to combat stagnant, humid air and musty smells. 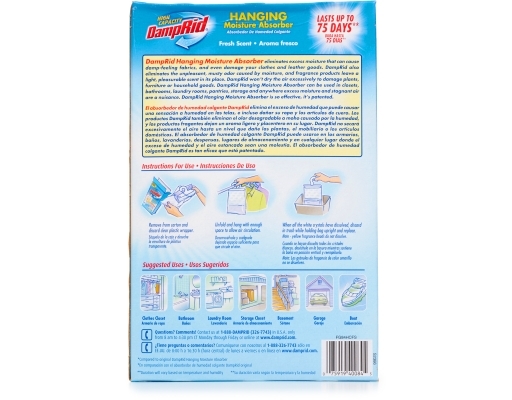 It is non-toxic, septic safe, and friendly to the environment. 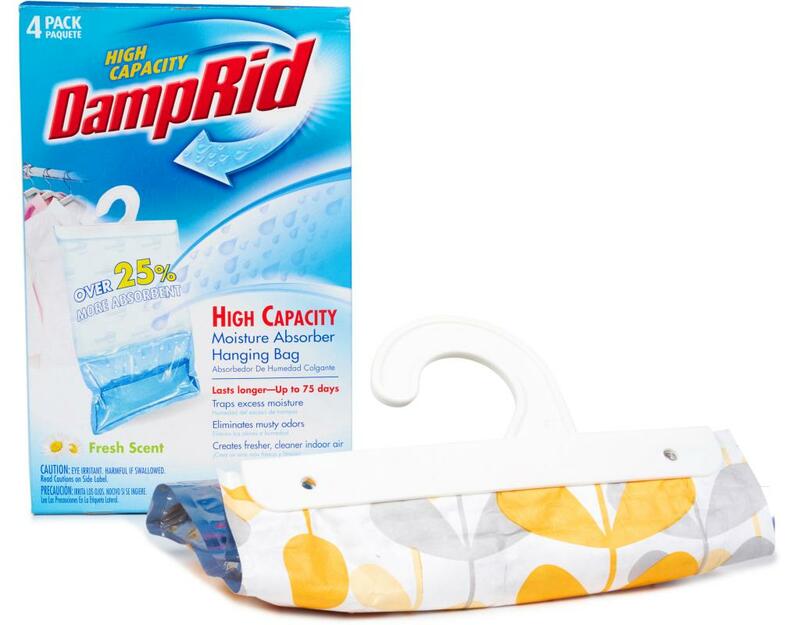 Each bag lasts up to 60 days depending on temperature and conditions. 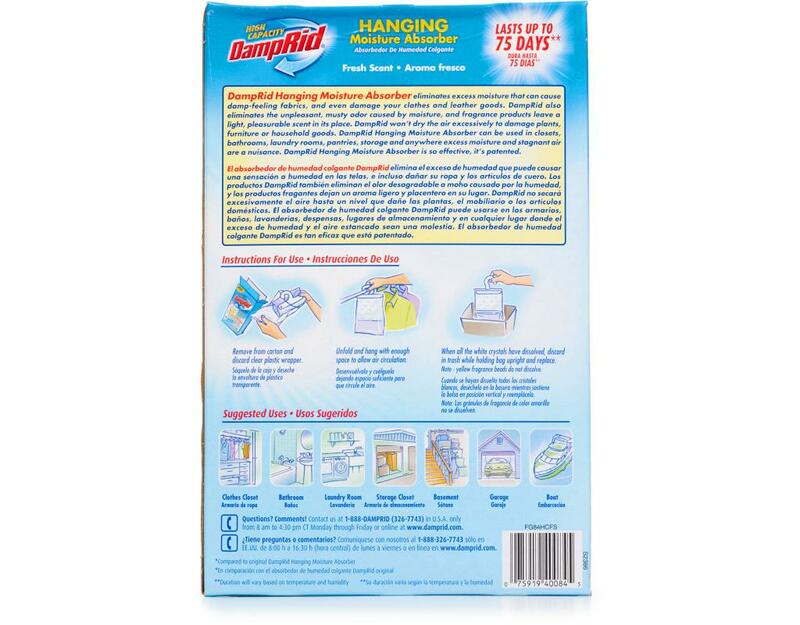 When all the crystals in the Hanging Moisture Absorber have dissolved, you just throw it away and replace it with a new one. 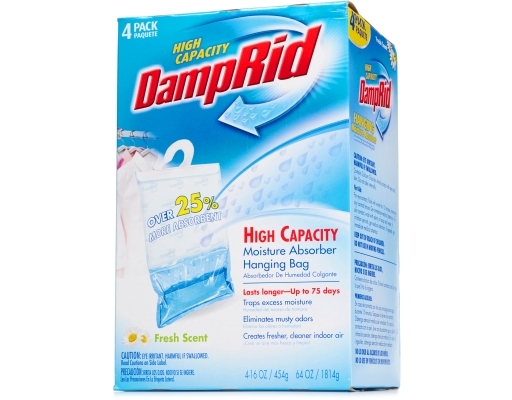 The DampRid Hanging Moisture Absorber is so effective, it's patented.